Yesterday we received some very exciting news. Blue 8C was the youngest of the three 2014 Glaslyn chicks. In October 2017 she was photographed in Popenguine, Senegal, but she had never been spotted back in the UK. That was until a few days ago. 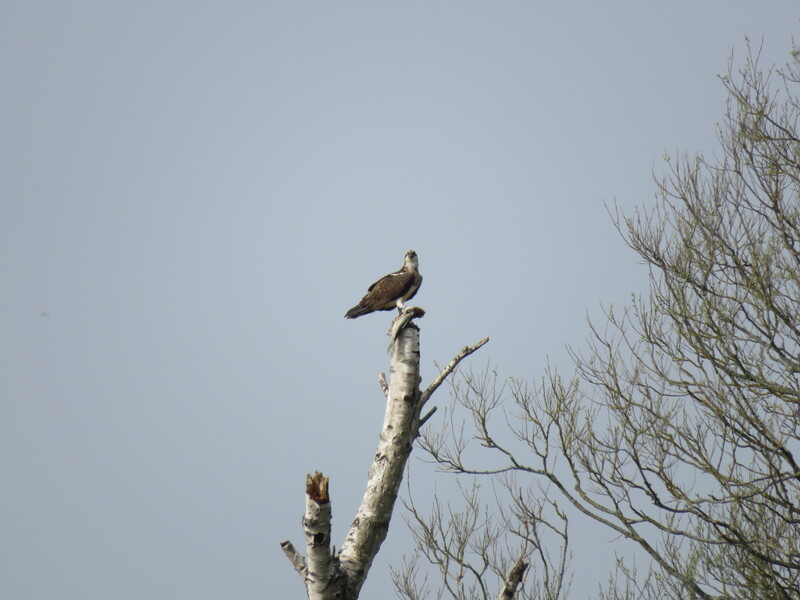 On Sunday, Tina Vaughan photographed an osprey eating a fish on a dead birch tree in Moortown, Ringwood, Hampshire. The osprey landed with the fish at 11am and was still eating it at 4pm! That osprey was Blue 8C. Thank you Tina for allowing us to share your photo and also Keith Bretton and Dr Tim Mackrill for your parts in getting the news to us.